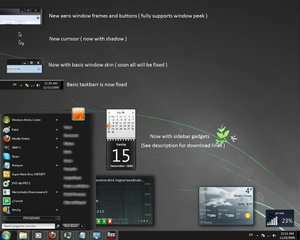 The "Only Black" theme is specifically designed for Windows 7 users and provides some lovely customizations to your desktop. For one, it generally darkens your desktop layout by streamlining grey and black. That includes the Start Menu, window buttons and also a darkened cursor. If you're looking for a black Windows 7 theme, check this one out. Version 1.0.0 is a freeware program which does not have restrictions and it's free so it doesn't cost anything. For security reasons, you should also check out the Only Black Theme download at LO4D.com which includes virus and malware tests. Additional screenshots of this application download may be available, too.